Superior offline folding of heavier-weight digitally produced media. 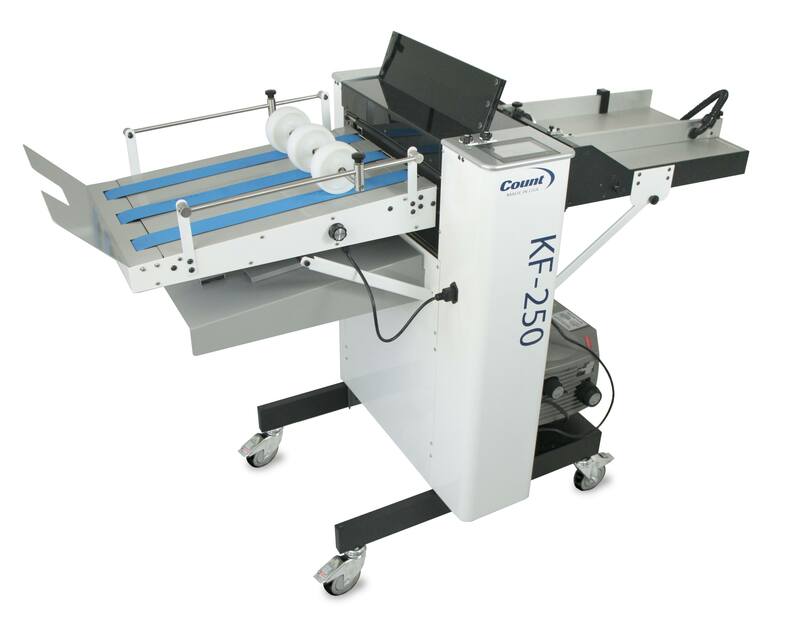 The COUNT™ KF-250 is ideal for anyone with an existing creasing machine or a multi-directional slitter/cutter/creaser. 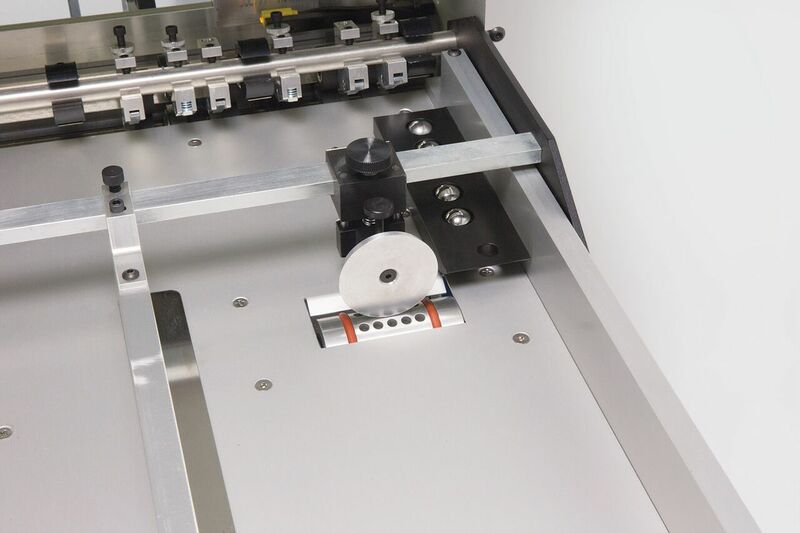 This machine is ideal for use in applications with heavier stock where standard buckle folders cannot get the job done. 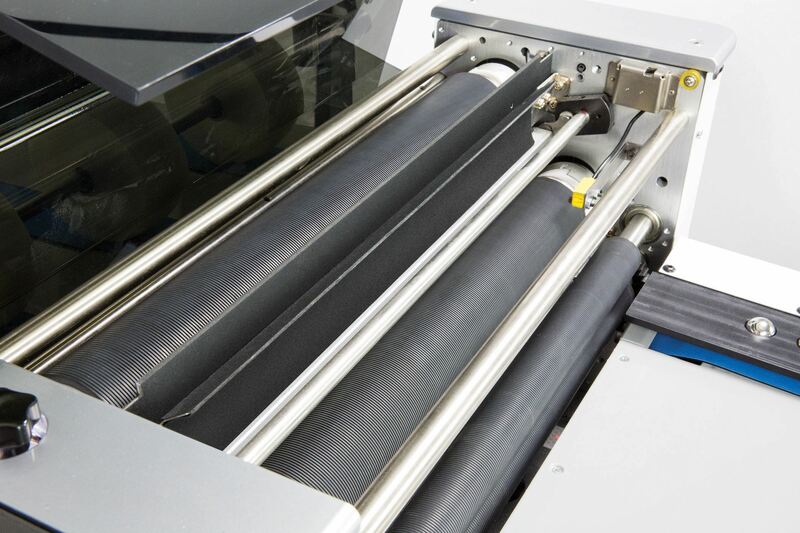 The KF-250 provides a clean fold without cracking or bending stocks up to 350 gsm. The KF-250 allows you to keep the paper feed aligned at all times with the fixed, factory set registry guide. It features a bottom vacuum paper feed, and a user-friendly touch screen control. 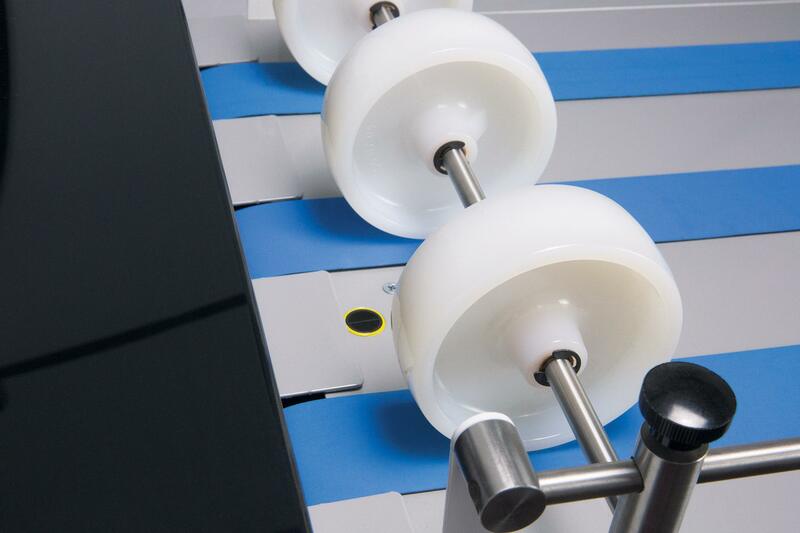 Plus, the variable speed output conveyor features a unique proximity sensor that keeps the exit tray clear. Only automatic stand-alone knife folder available. Because it’s a stand-alone machine, it’s compatible with any existing creaser or multi-directional slitter/cutter/creaser. Bottom vacuum paper feed with built-in register guide. Paper feed stays aligned at all times with fixed, factory set registry guide. Clear top lid provides visibility and easy internal access. Innovative sensor at exit tray moves paper out of the way automatically, keeping the exit tray clear. Click here to view the COUNT KF-200 for an in-line folding option.